Hello everyone, I’m super excited to be taking part in this months Pootles Birthday Club blog hop its my first one ever and today is my actual birthday, happy birthday to me! I have a full day planned doing wonderful lovely things spending time with my lovely family and my horse Monty. A modern card don’t you think? 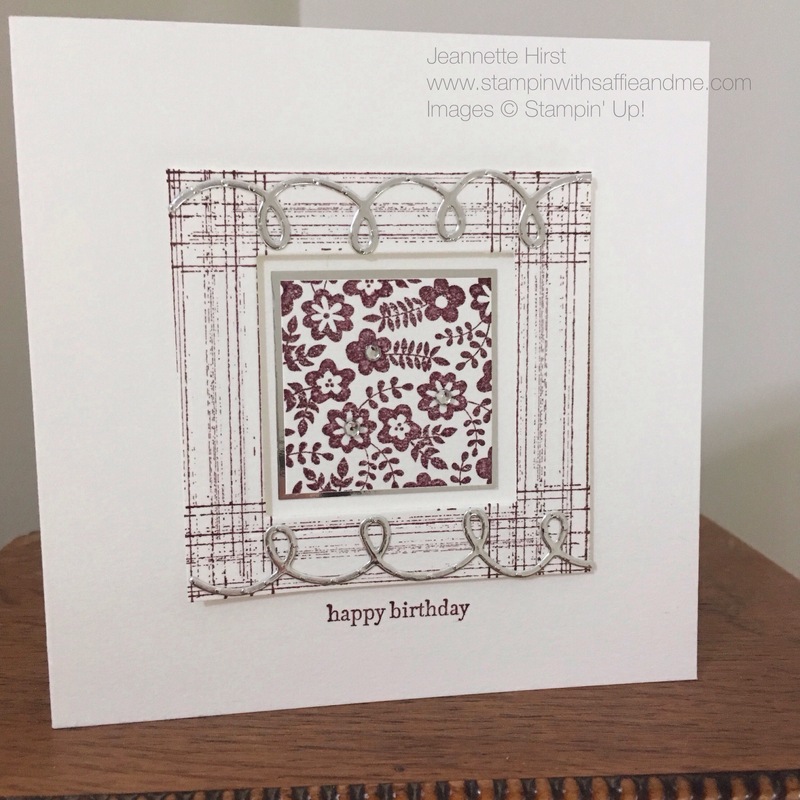 I have used a couple of different stamp sets and framelits dies to create this card, I love to mix and match them up as you get endless variations and they don’t disappoint. My usual style is clean and crisp, so for me I’ve gone a little mad this time but I love the result. 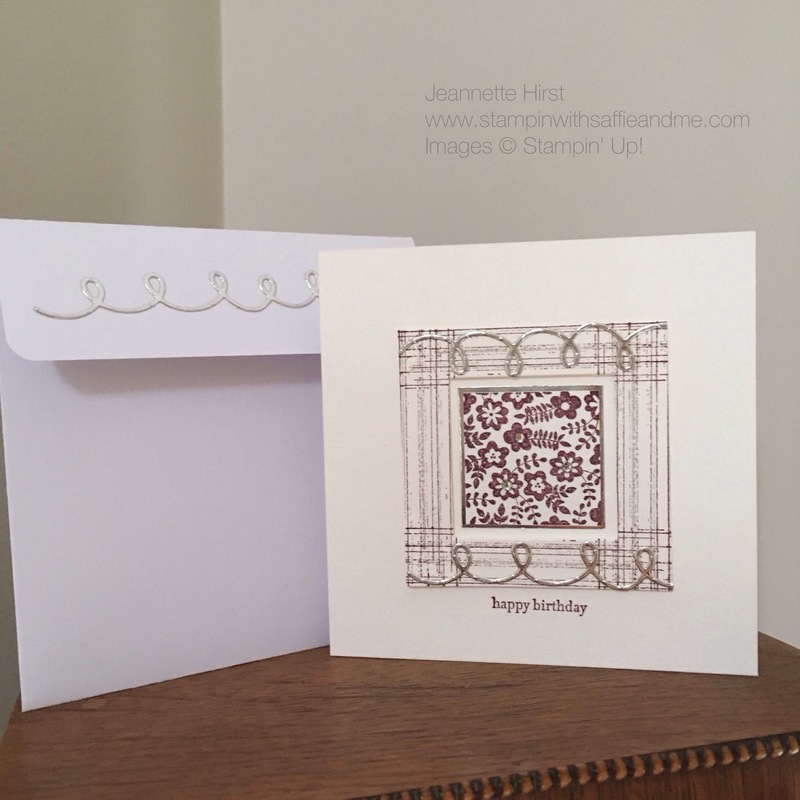 When i’m making special cards for friends and family I like to make my own envelopes, sometimes with the envelope punch board or sometimes I just make my own which is what i have done in the picture below and always add that finishing touch to the envelope as to me its not to be ignored. I do hope you like this project.